Located in the heart of Eastern Oregon on the North Fork of the John Day River. World famous Rocky Mountain Elk and Mule Deer hunting in the surrounding Heppner and Northside Units. Trophy Steelhead, Trout, and Bass fishing. 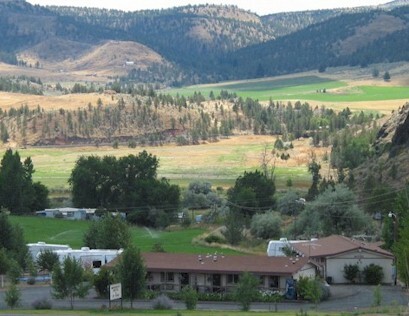 RV Park with five full-service spaces, bonfire pit and outdoor barbecue area. Near John Day Fossil Bed National Monument: Sheep Rock Unit, & the Thomas Condon Paleontological Visitors Center. Fresh fruit picking at the Thomas Orchards located at nearby Kimberly. Bird hunting in season. Chukar, Pheasant, Quail, and other popular species. Enjoy the quiet solitude of the Monument Valley. Boyer's Cash Store sells groceries, gas, liquor and a wide variety of items within walking distance.